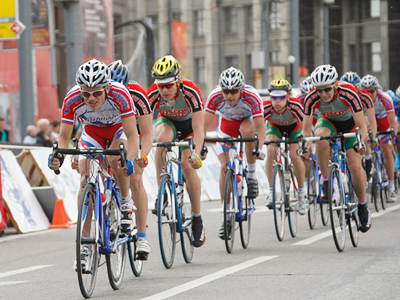 The third stage of the Five Rings of Moscow cycling race was in need of a photo finish on Saturday, with local man Aleksandr Serebryakov taking the win. ­The stage took place in the very heart of the Russian capital. 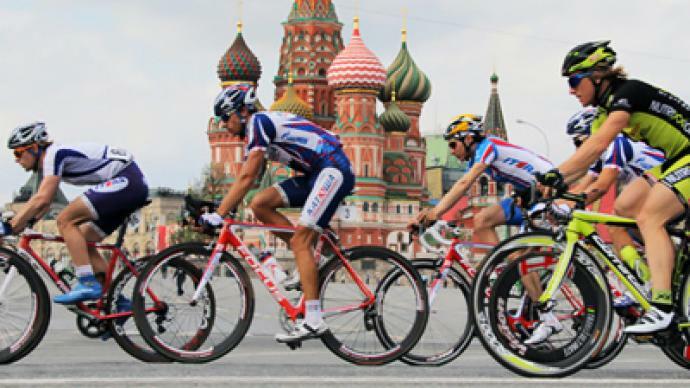 The riders had to cover 30 laps around the walls of one of Russia's main landmarks – four kilometers each – with the title of King of the Kremlin Ring at stake. 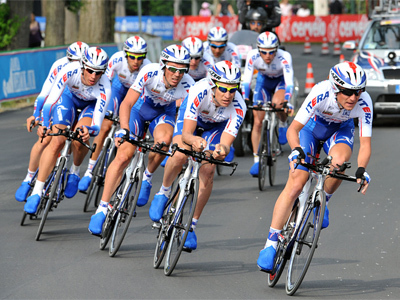 Russian team Katyusha – currently sitting top of the overall standings – promptly took their place in the leading group, with different riders taking turns trying to break away from the peloton. Although none of them managed to keep their advantage up to the end. In fact, it was still anyone's race at the last lap stage, the event destined to be decided in the dying seconds. It was Michael Schwaizer from German team Sparkasse, along with Russia's Aleksandr Serebryakov, who were the first to cross the finishing line – shoulder to shoulder – with both celebrating victory. However, there can be only one on the top of the podium, with a photo finish signaling the slightest of advantages for the Russian. “A few kilometers to the finish the Germans started to up the ante, and I just tried to catch up with them and keep the tempo. In the last one hundred meters I managed to overtake them a bit…despite the dead wind. I was giving my all and won in the end,” Aleksandr Serebryakov said. With third place occupied by another Sparkasse member Grischa Janorschke, the Germans could be content with a hard day's work, added to by maintaining international relationships with some of the fans. Plenty more action lies ahead, with the final couple of stages of the Five Rings of Moscow race up for consideration this Victory Day weekend.